Mark first qualified in acupuncture in 2009 and then specialised in cosmetic acupuncture. He then went on to train in cosmetic injectables and qualified in 2011 in both basic and advanced techniques such as the "Paris Lip" using dermal fillers. 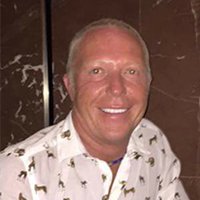 Mark constantly strives in this ever evolving business to bring his clients the most up to date procedures and techniques such as the use of lasers. You can rest assured that whatever your aesthetic requirements, Aesthetox practitioners will deliver through the most dedicated knowledge and training available in today's market. Mark first qualified in acupuncture in 2009 and then specialised in cosmetic acupuncture. He then went on to train in cosmetic injectables and qualified in 2011 in both basic and advanced techniques such as the “Paris Lip” using dermal fillers. Mark is qualified in tattoo removal using the fastest technique on the market today (R20) as well as Radio Frequency skin tightening. Another innovative new cosmetic technique recently introduced by Aesthetox is the latest in skin technology – Collagen Induction Therapy (CIT) using “Innopen” which is the latest medical device on the market. Aesthetox’s product range is constantly evolving through research and we advise and recommend the use of ‘Cosmeceutical’ products such as Dermaceutics and Pure Swiss. 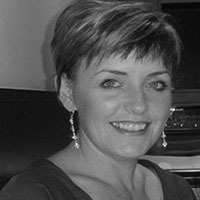 She is committed to her clients and loves to demonstrate the possibilities offered by the new and advanced IPL procedures she is able to offer through her collaboration with Mark at Aesthetox. You can rest assured that whatever your aesthetic requirements, Aesthetox practitioners will deliver through the most dedicated knowledge and training available in today’s market.